Thinking about what we were going to make for our Thanksgiving blog dinner, we thought about how nice it would be to have all the side dishes prepared ahead of time to make the night less hectic when people were here visiting before we actually ate our dinner….kinda like a real Thanksgiving meal. 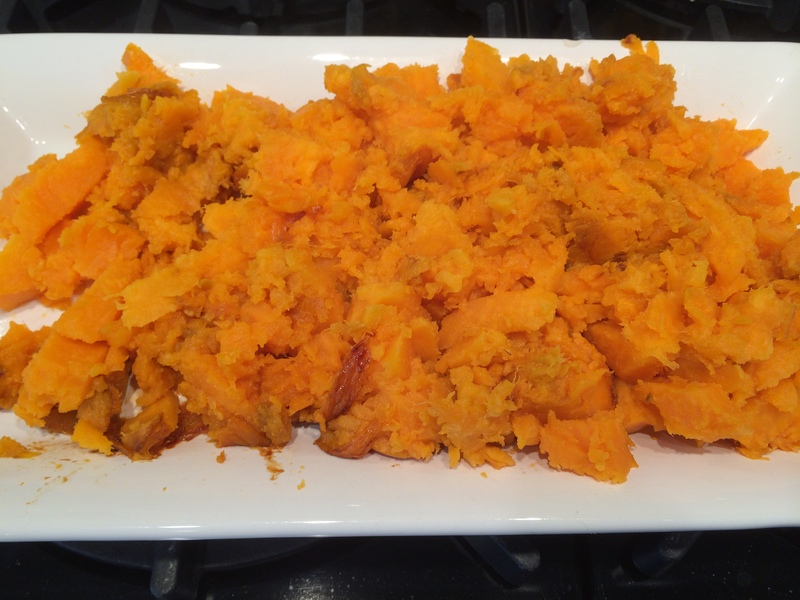 So, we decided to do all make ahead side dishes and guess what – it was GREAT! Everything except the turkey was finished by the time the first person walked through the door, leaving us plenty of time to eat, drink and be merry! It is the holiday season, after all. These are your classic mashed potatoes that go perfectly with Thanksgiving turkey (and gravy!) Making them ahead of time takes the stress out of Thanksgiving day and gives you enough time to visit with your family and friends. We started with Yukon Gold Potatoes. Peel and quarter them into even pieces. If some pieces are bigger than others, cut those in half. You want all pieces approx. the same size. Bring a large pot to a boil and add the potatoes. 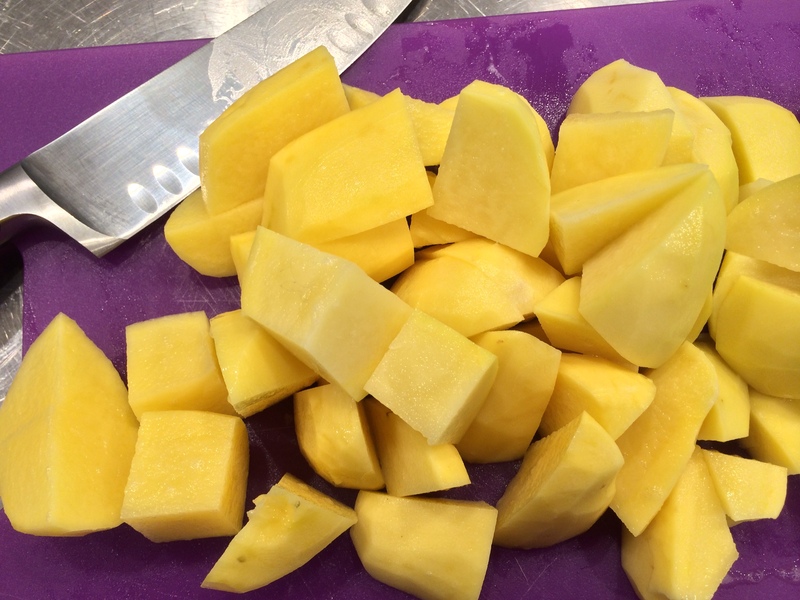 Cook until very soft and a fork easily pierces it. We cooked ours about 25 minutes. 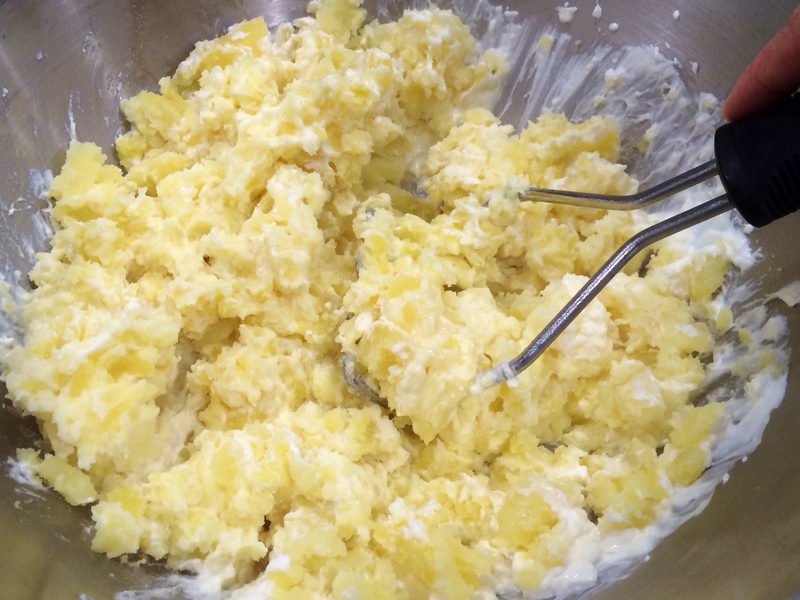 While the potatoes are cooking, mix together the cream cheese and sour cream. Blend until smooth and creamy. 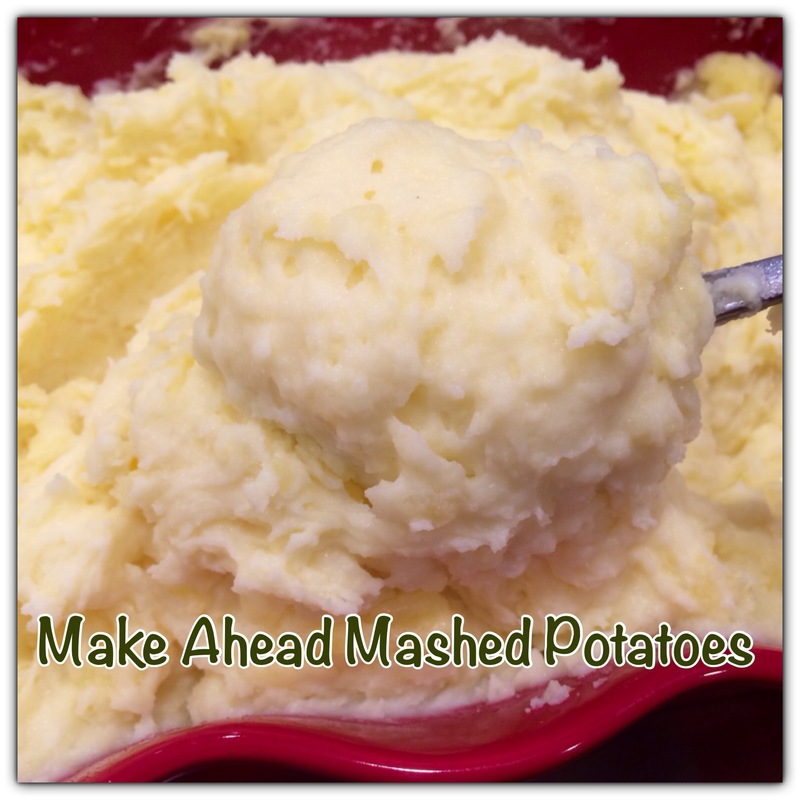 Add the potatoes to the cream cheese mixture and start to mash with a hand masher. Add in the butter and milk and continue to mash. 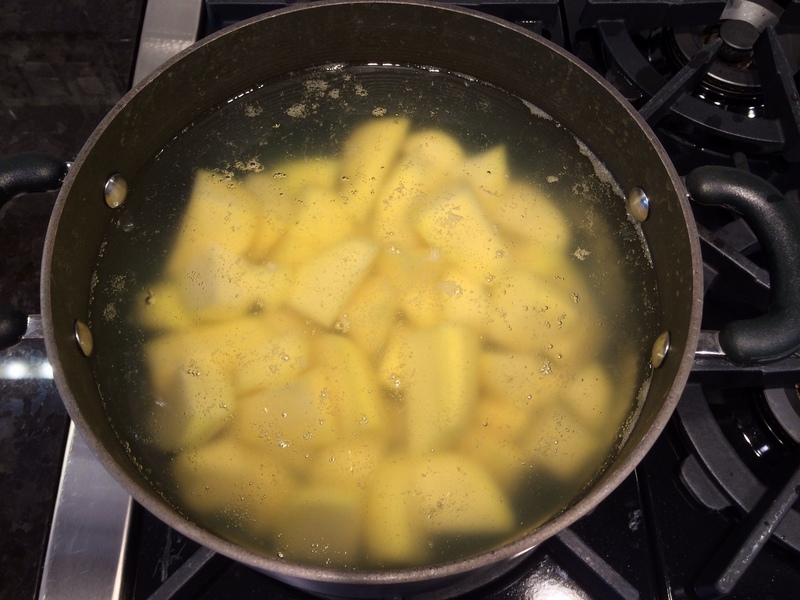 If the potatoes seem a little thick or dry, add more butter or milk until you reach your desired consistency. 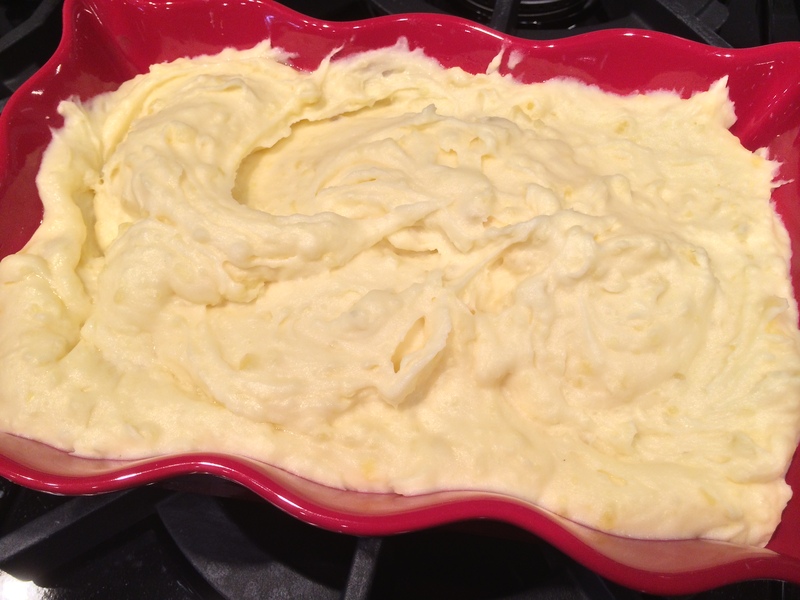 Once the potatoes are creamy and well mixed, pour the potatoes into a lightly buttered casserole dish or microwave safe bowl. Cover and refrigerate. About 10 minutes before serving, heat in microwave until hot. 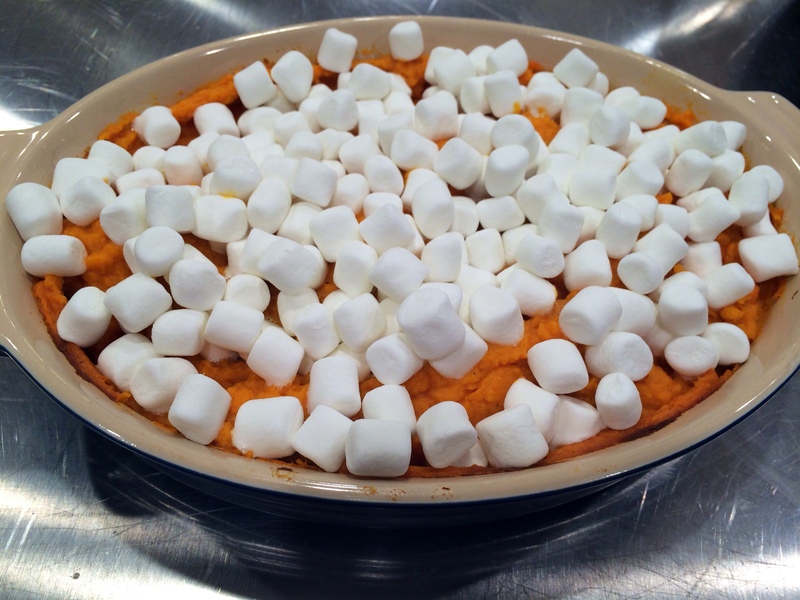 If you prefer, this can be heated in the oven on 325 until heated through stirring once throughout. Depending on your preference, you may add a little milk to the mixture. Place the potatoes in a large saucepan and cover with water. Bring to a boil. Reduce heat; cover and cook for 20-25 minutes or until tender. Drain. 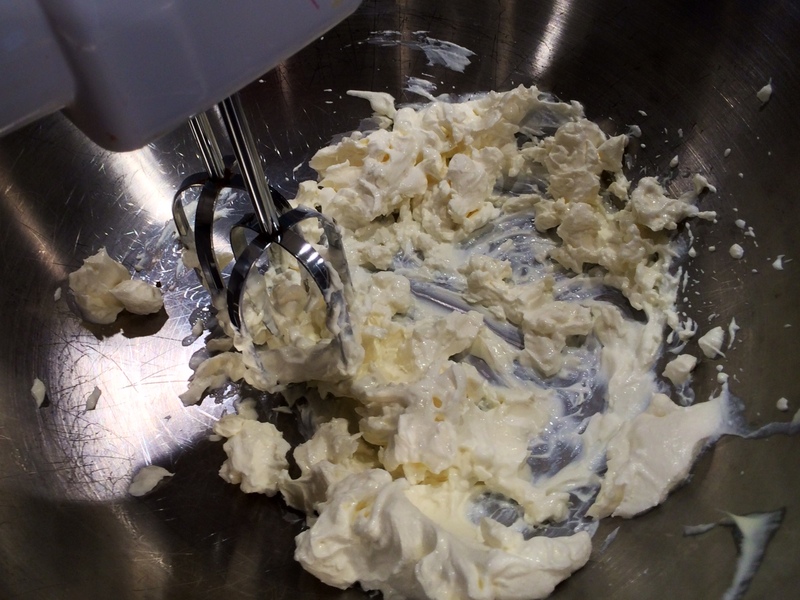 In a large bowl, beat cream cheese and sour cream until smooth. Add potatoes; mix until light and fluffy. Mix in the butter, salt, and chives if desired. Spoon into a greased 2-1/2-qt. microwave-safe dish. Cover and refrigerate overnight. Remove from the refrigerator 30 minutes before baking or reheating. Microwave, uncovered, on high for 5 minutes, stirring once. Microwave 5 minutes longer or until heated through. Yield: 6 servings. 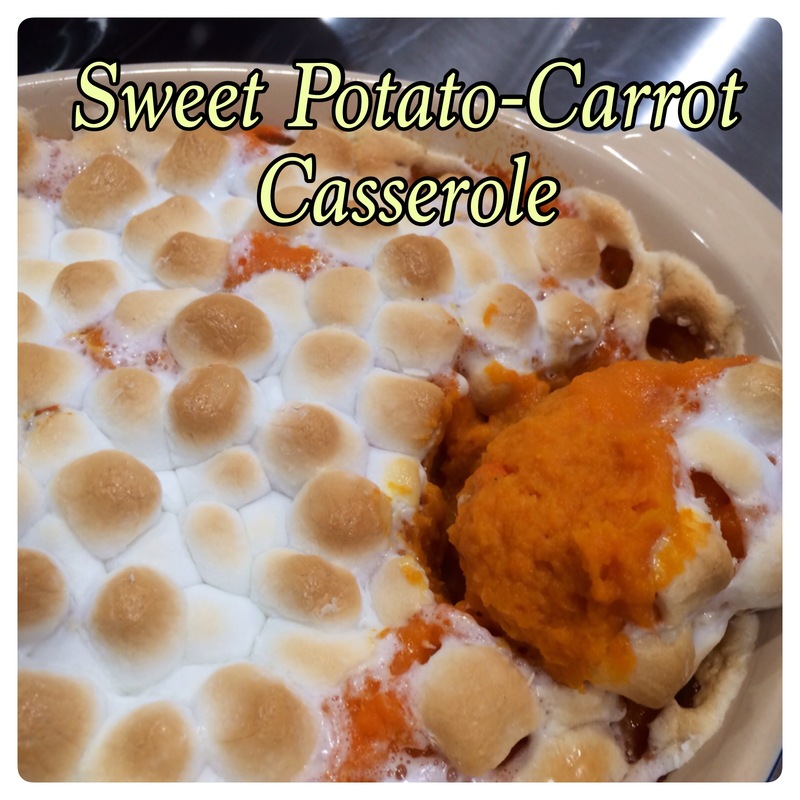 Note: We made this as a 6 serving side dish. Double everything for a larger party. Blended Kitchen is having our big Thanksgiving blog dinner this weekend. 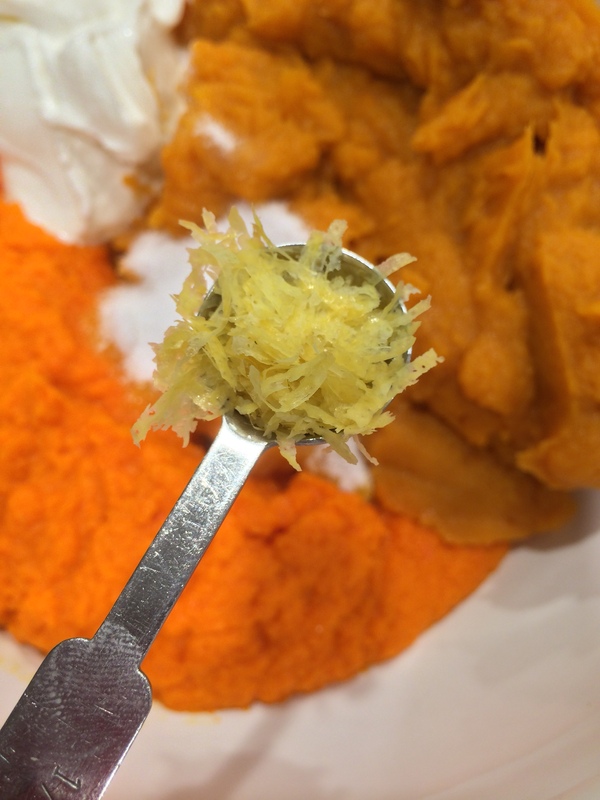 Our plan is to have three or four delicious new side dishes to introduce you to for Thanksgiving. 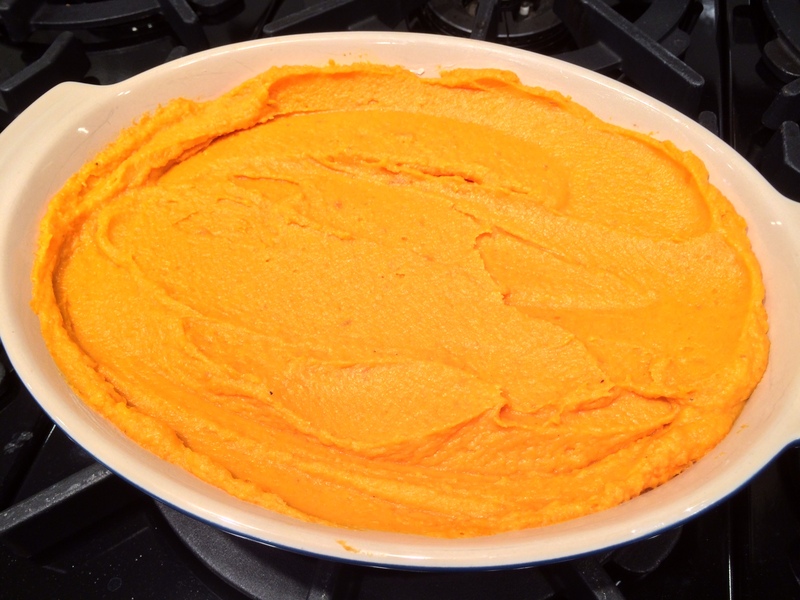 In the meantime, we will be reposting our favorite sides to get you to start thinking about YOUR Thanksgiving meal. Here is one of our all time favorite vegetable casseroles – at Thanksgiving or any time of the year! 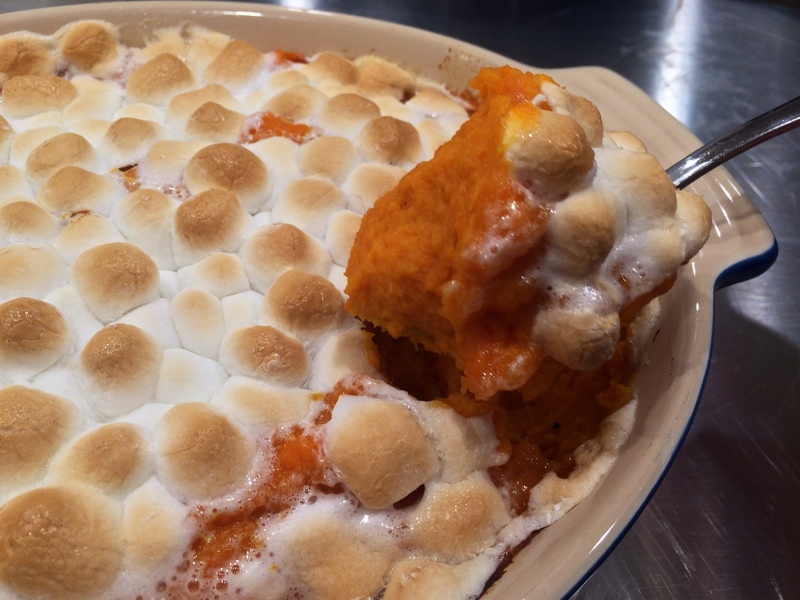 Casseroles are an absolute staple for the Blended Kitchen Thanksgiving menu. Our favorite casserole? This super-indulgent green bean shoepeg corn casserole. (Say that five times fast!) The buttery Ritz crackers on top really take this dish to a whole new level. We know what you’re going to say. “Not another green bean casserole! No more cream of mushroom soup! I don’t care about crispy onions on top!” But read on, because this casserole is so much better than that. The sweet shoepeg corn mixes beautifully with the green beans and extra buttery Ritz crackers. This casserole is so good that someone (cough cough Cindy cough cough) has been known to eat leftovers of this casserole for a morning-after-Thanksgiving breakfast. Start out with these goodies! Mix corn, beans, salt, onion, cheese, soup and sour cream in a big bowl. 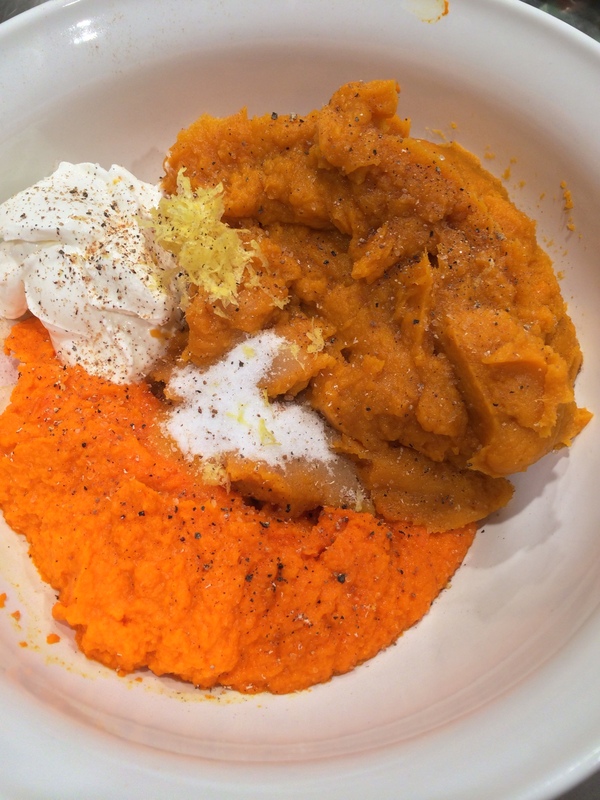 Once combined, pour the mixture into a casserole dish. It tastes better than it looks, trust us. Add the buttery Ritz cracker topping. Bake it for 35 minutes until it’s a perfect golden brown. So much better than the typical green bean casserole! Combine corn, beans, salt, onion, cheese, soup and sour cream in a big bowl. Place in a greased glass dish. Crumble the Ritz crackers into a bowl. Mix together butter and crackers. Place topping on top. Bake at 350 degrees for 35 minutes. It’s been a while since we’ve posted a new recipe and we have a good reason why. Lindsey has been traveling for work, living the life of a carefree young girl when one day she breaks her family’s heart with – I’m moving to Dallas! Say what? We’re sorry, we blacked out for just a minute and thought we heard you say you were moving to Dallas. Moving to Dallas? Yes, it’s true! So we’ve been crying in our Cheerios, pie plate, pizza pan, casserole dish, crock pot and anything else you can fill with food to comfort our breaking hearts. 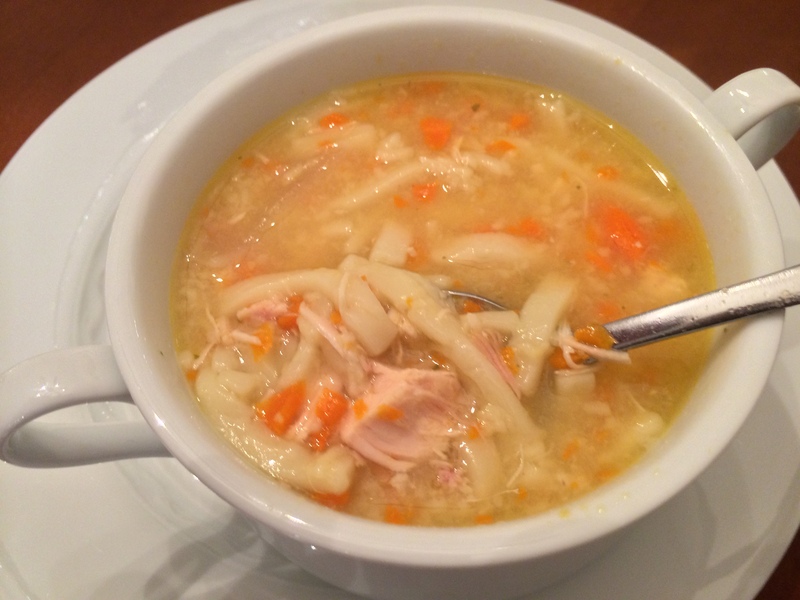 So we thought it very fitting to revive our blogging with the king of comfort food – Chicken Noodle Soup. 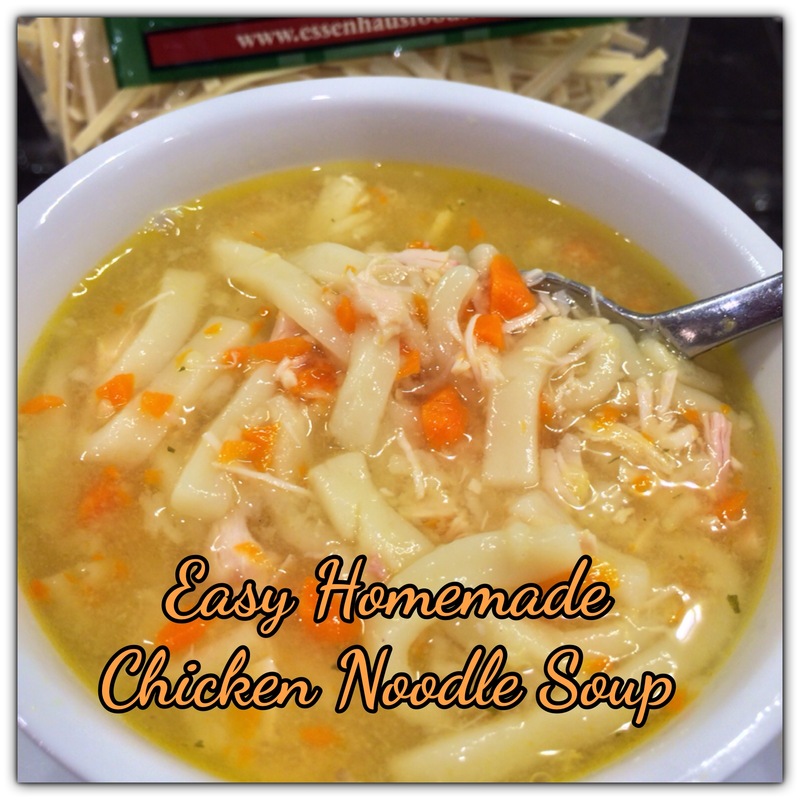 This is a tried and true family favorite to have ready for the busy family on nights of sports practices and games. It couldn’t be any easier and really doesn’t consist of any cooking. It’s just gathering ingredients and tossing in a crockpot. 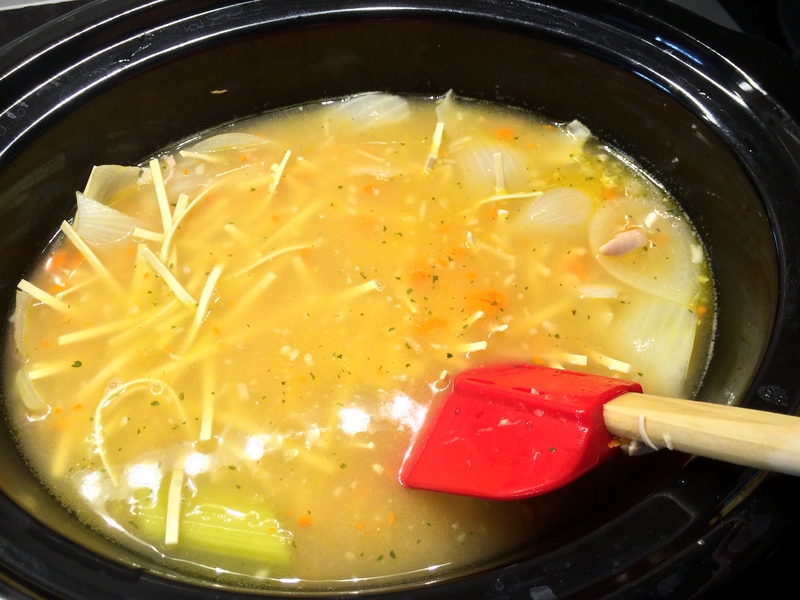 It is not uncommon for us to make this hearty soup 2-3 times a month! 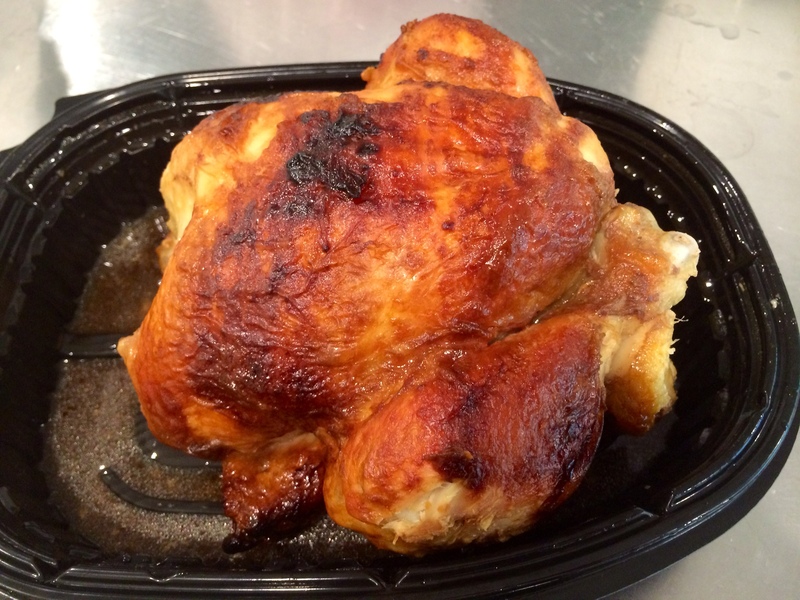 Start with a rotisserie chicken. Just get the plain or original flavoring. The big ones at Sams or Costco are great because they are so meaty. The smaller ones from the local grocery store work just as well also. While still warm, remove the skin and take the meat off the bones. We use it all! Breast, the top layers of the legs and the really yummy meaty part of the thigh. Chop it up into “smaller than bite size pieces.” It’s very easy to do, so don’t be intimidated – just take off your rings and dig in. 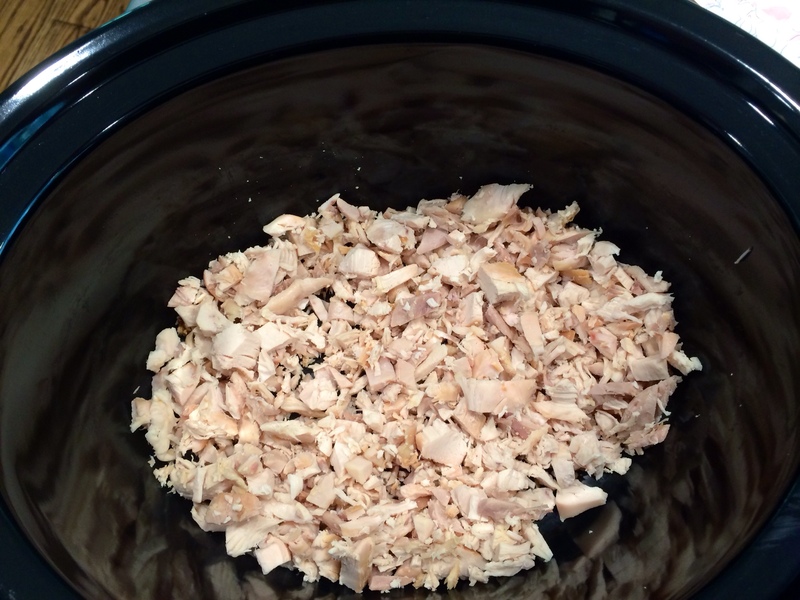 Place the chopped up chicken pieces in your crock pot. 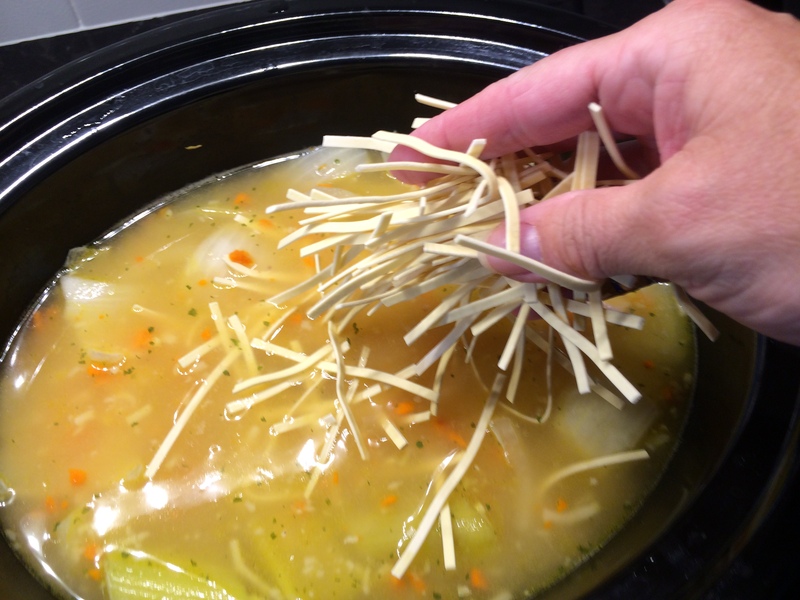 You can also use a soup pot on the stove if you want, but we’re fans of the “set it and forget it” crock pot. 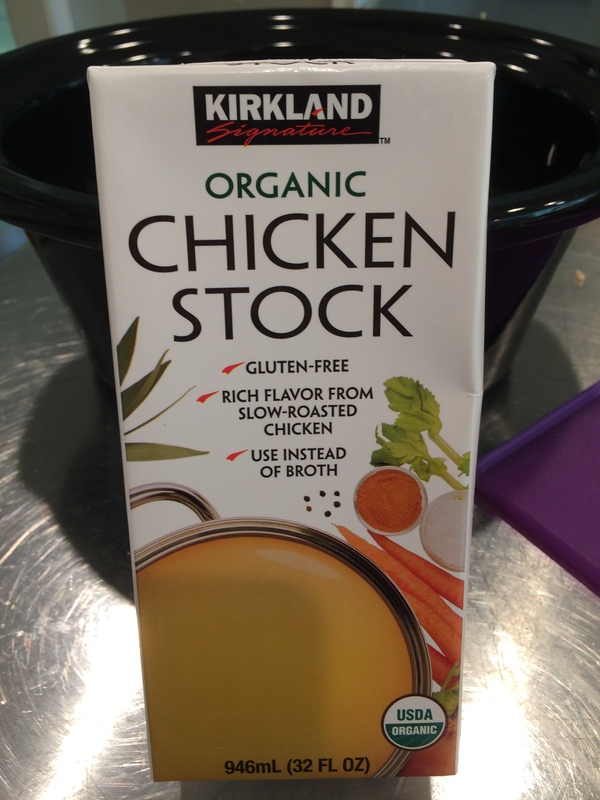 We use a boxed chicken broth, canned (or fresh, if you’re feeling ambitious) are fine too. 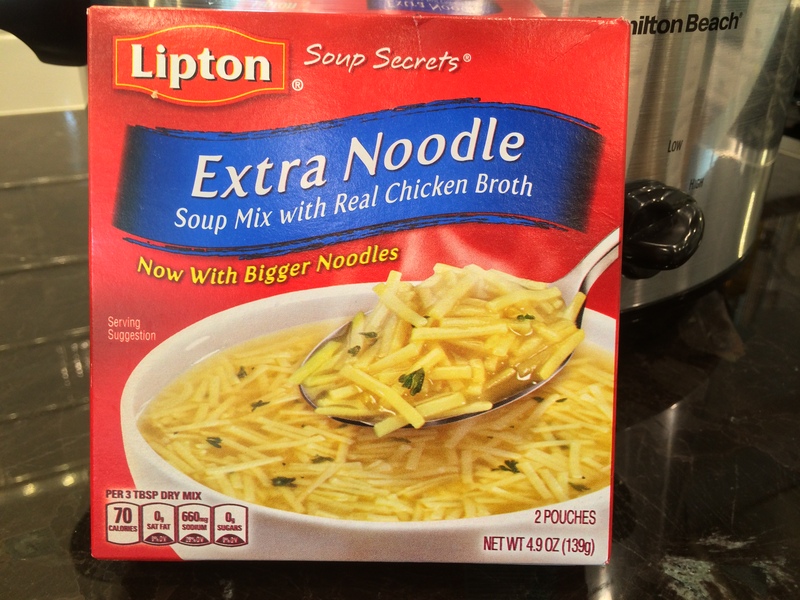 Basically, you just need enough broth to cover the chicken and this is a great size to start with. 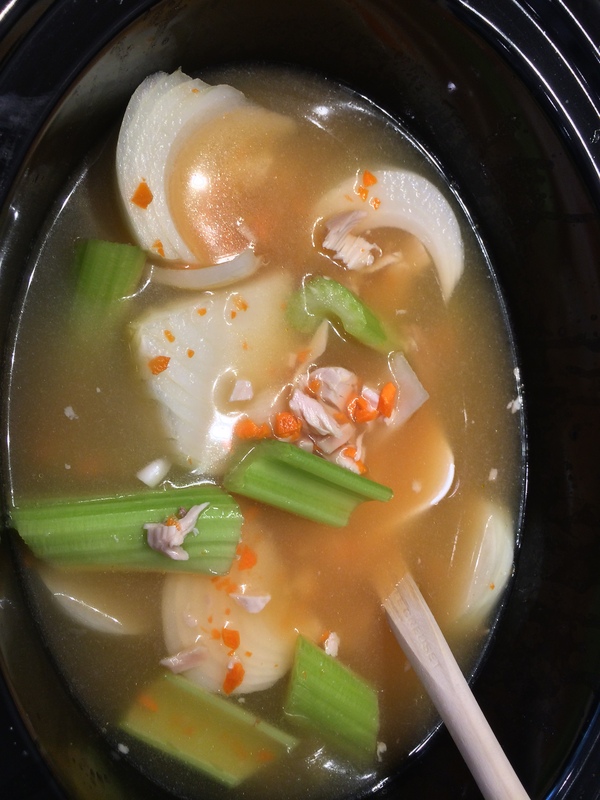 Pour the chicken broth into the crock base and use enough to completely cover the chicken pieces. 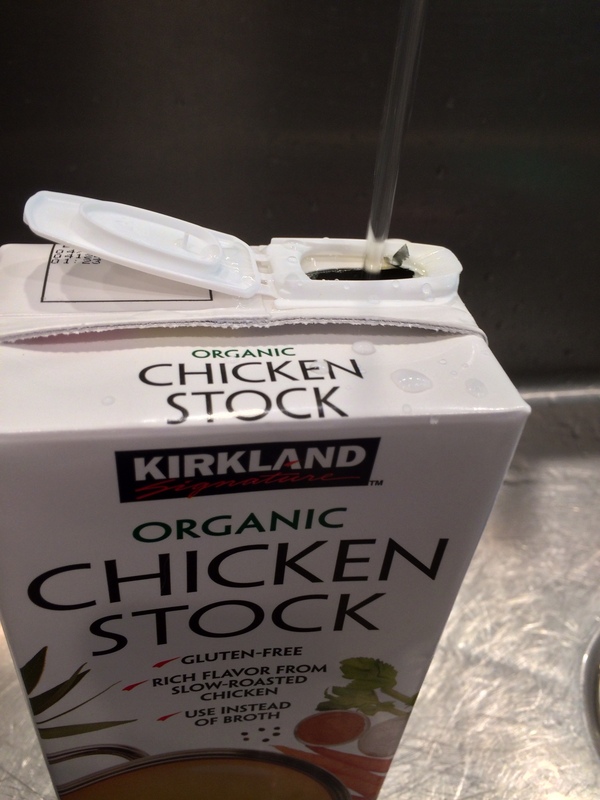 Using the same container, fill it with water and pour enough water to raise the liquid in the crock about an inch. For us, it’s usually about 1/2 to 3/4 of the box. This will vary depending on how much chicken you use and how big your pot is. Just eyeball it and know you can’t screw it up! These are the veggies we throw in. 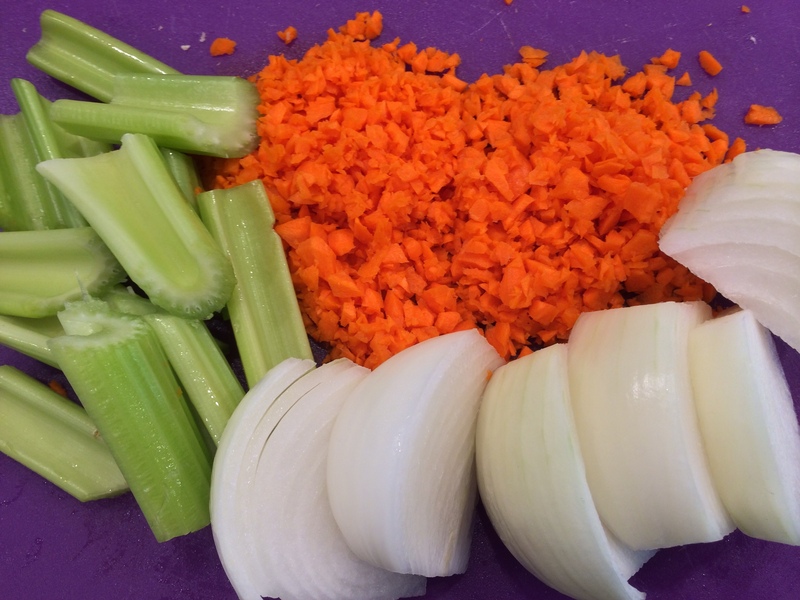 Why the big pieces of celery and onion? A certain person in our house WON’T eat “the green stuff” and another CAN’T eat onions. We’ll let you figure out that puzzle. So, to make everyone happy, we keep the celery and onions large enough so that we can easily remove them before serving. You need that flavor in there so you can chop them up like normal soups or keep large to remove if your house is weird like ours. 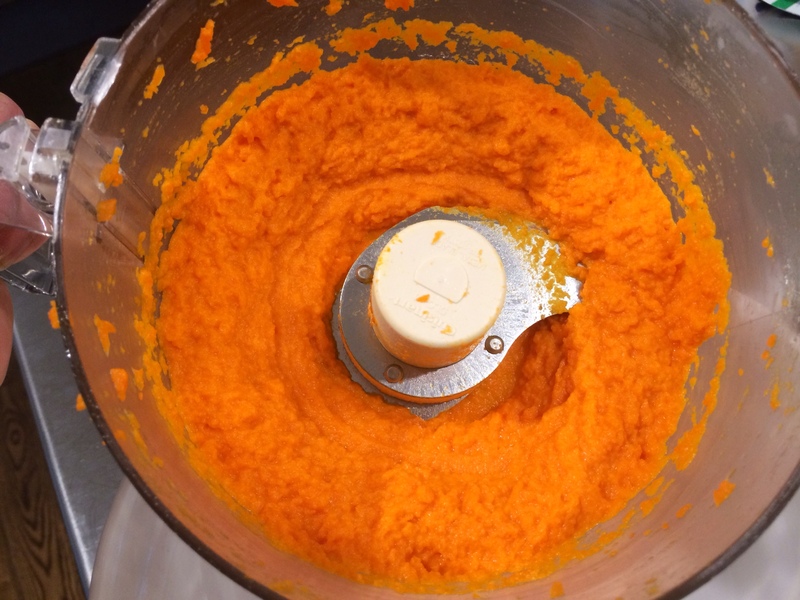 The one thing we all agree on is carrots so those get chopped up pretty small so they soften and add a pretty color. Mix all the veggies in with the chicken and broth. For the seasoning, we add a pouch of soup mix. If you have a favorite brand, use it! We use whatever we happen to have in the pantry. Open that pouch up and empty the contents into the crock. We love noodles so we tend to use the extra noodle flavor. Whatever you want to use is fine! This is what it looks like after it has cooked on high about 3 hours. You can also cook it on low, depending on your schedule. 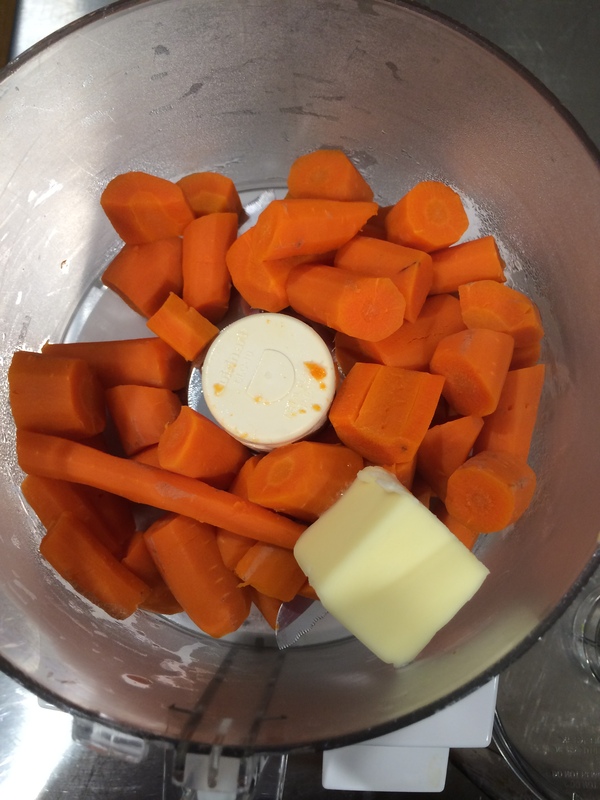 The main thing is to get the flavors to marry and the veggies to soften. 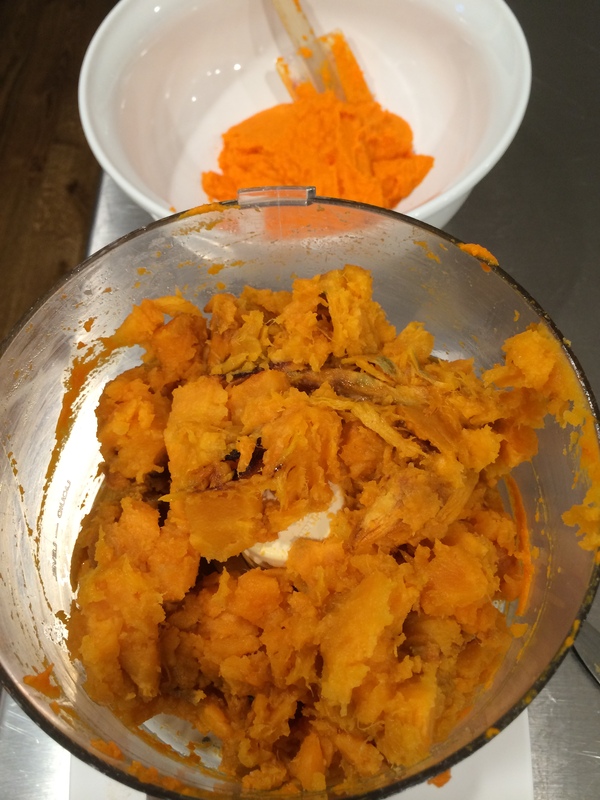 Cutting up the pieces smaller will ensure they will soften in time for dinner. Now this is when it gets GOOD! 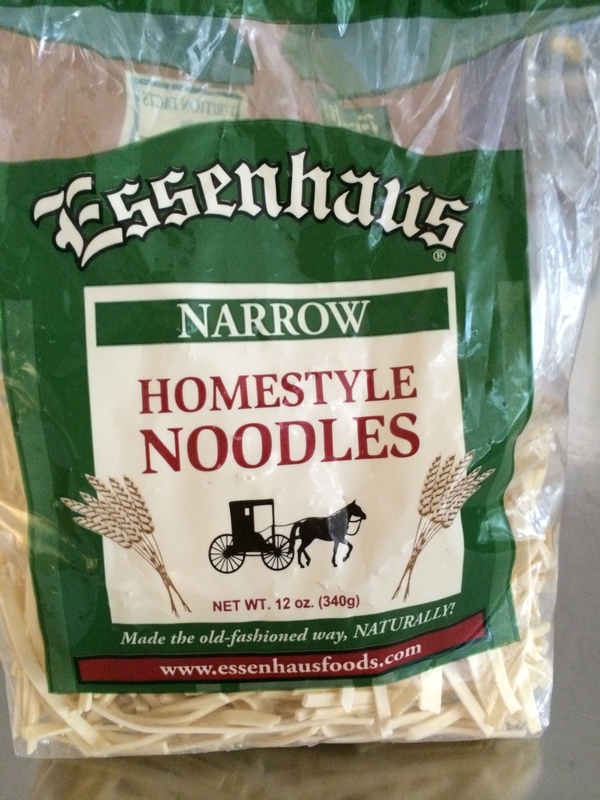 We love Amish noodles and have several recipes we use them in. You can find these in the pasta aisle. For this soup, we use the narrow style. If you can find them, there’s an even smaller size which is perfect too! Feel free to use a wider noodle if you want but it will be more “dumpling like”. The flavor will be the same though – delicious! We usually do a “handful” of noodles. Eyeball it and know you can add more if you see it’s not noodley enough for you. 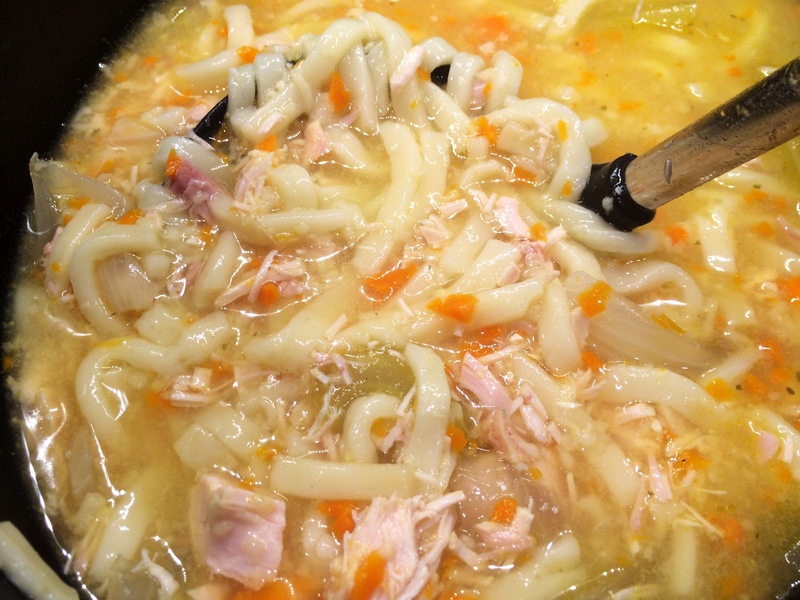 If you like a more brothy soup, use fewer noodles. 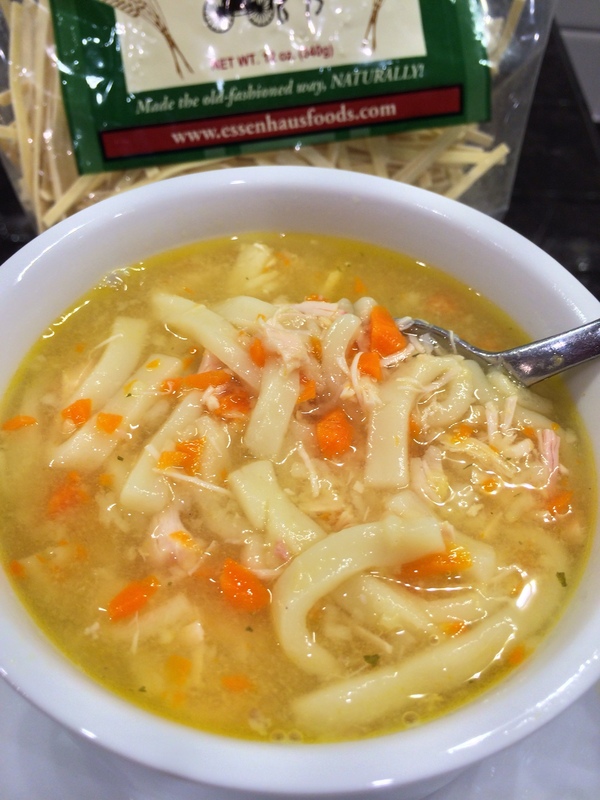 It’s chicken noodle soup though, so we add in lots! Give it a quick stir and put the lid back on for about a 30-60 minutes. Just enough time to soak up the goodness. If you see the soup is soaking up all the broth because you added too many noodles, just add a little broth or water to the soup to thin it out. Easy fix! No worries! Look at this homemade goodness! Now is when you pick out the onions and celery for those certain people. Remove the skin and chicken from the rotisserie chicken. 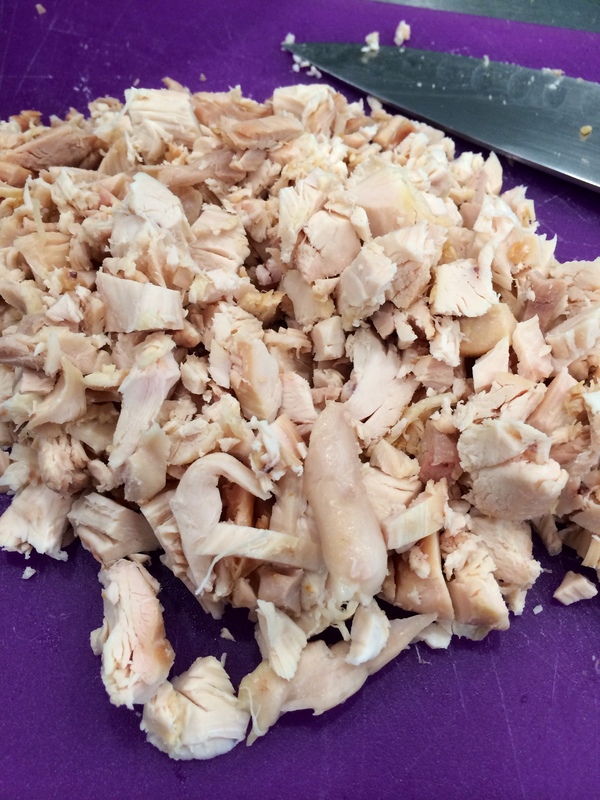 Discard the skin and chop up the chicken into bite size pieces. 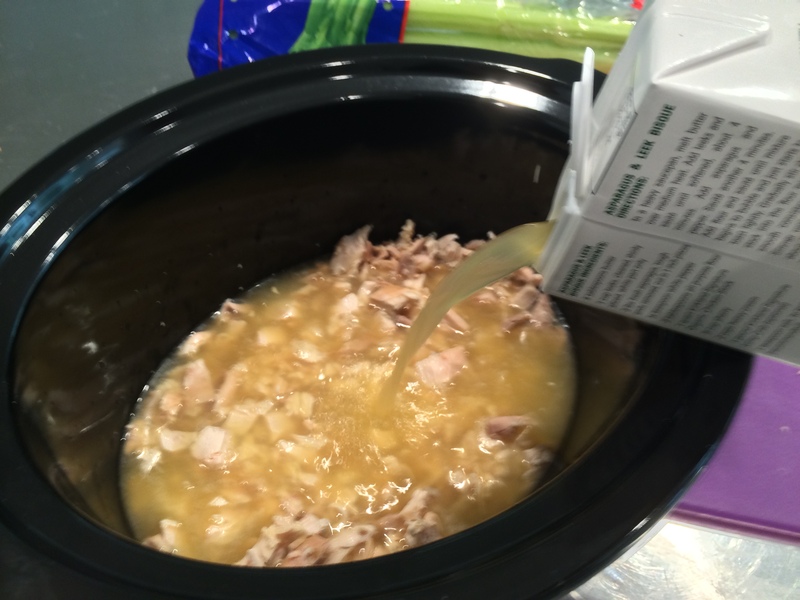 Place chicken in crock pot base and cover completely with chicken broth. Add water to raise the liquid to about an inch higher than the chicken. Add vegetables and chicken soup package. Cook on high approx 3 hours or low 6. About an hour before serving, add the Amish noodles. 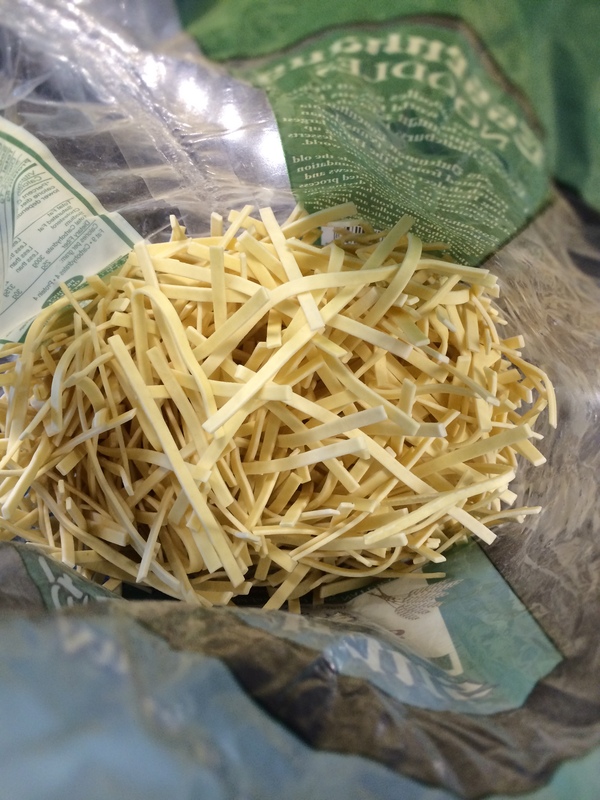 Stir noodles into soup and replace cover. Reduce heat to low and let the noodles soak up the goodness. 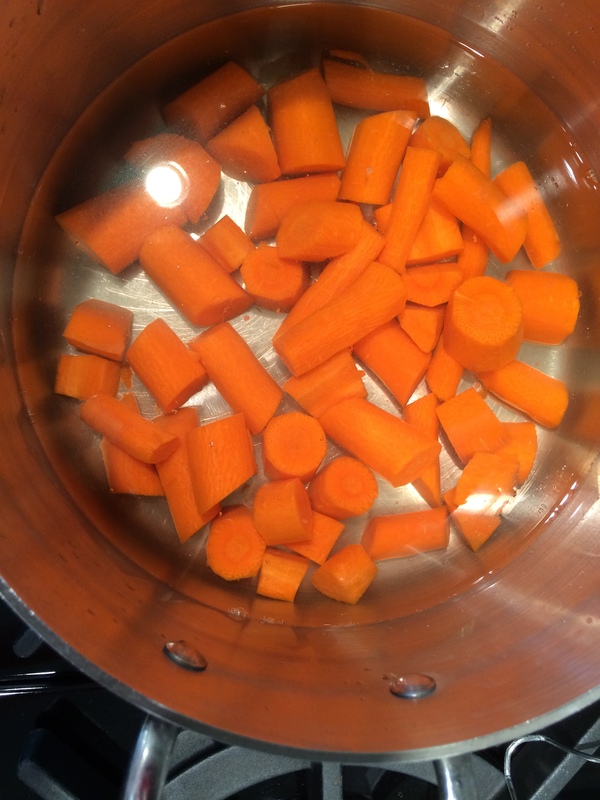 If you notice the soup needs more liquid, add more broth or water ~ 3/4 cup at a time. 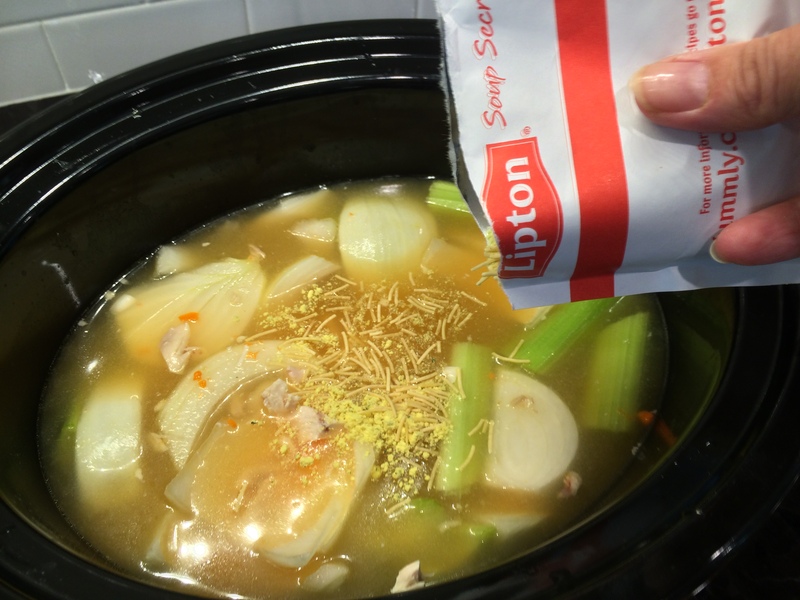 With leftovers, you will most likely need to add a little liquid when reheating. As it sits in the fridge overnight, the noodles will continue to soak up the liquid. During one of our “blog dinner nights,” we realized at the last minute that we needed a dessert. Looking at these two sinfully good desserts that we happened to have hangin’ around, we thought “what if we did them together”? Luckily for you, we did, and they were So. Freaking. Good. These two goodies from the grocery store are all you need to make this delicious, kid friendly dessert. 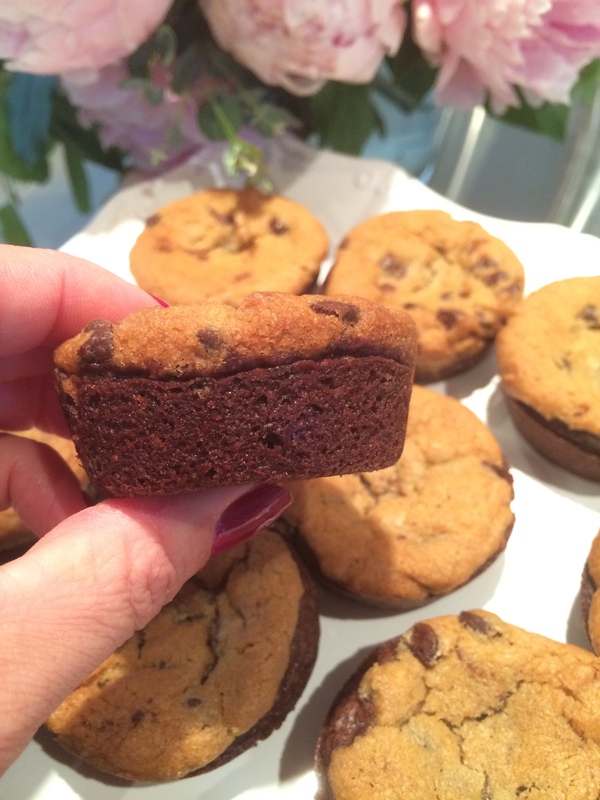 In the bottom of each muffin pan, we scooped in 2 tablespoons of prepared brownie batter. We then topped it with a slice of chocolate chip cookie dough. If your brownie mix originally calls for a coating of baking spray, use it. If it doesn’t call for a greased pan, then don’t. 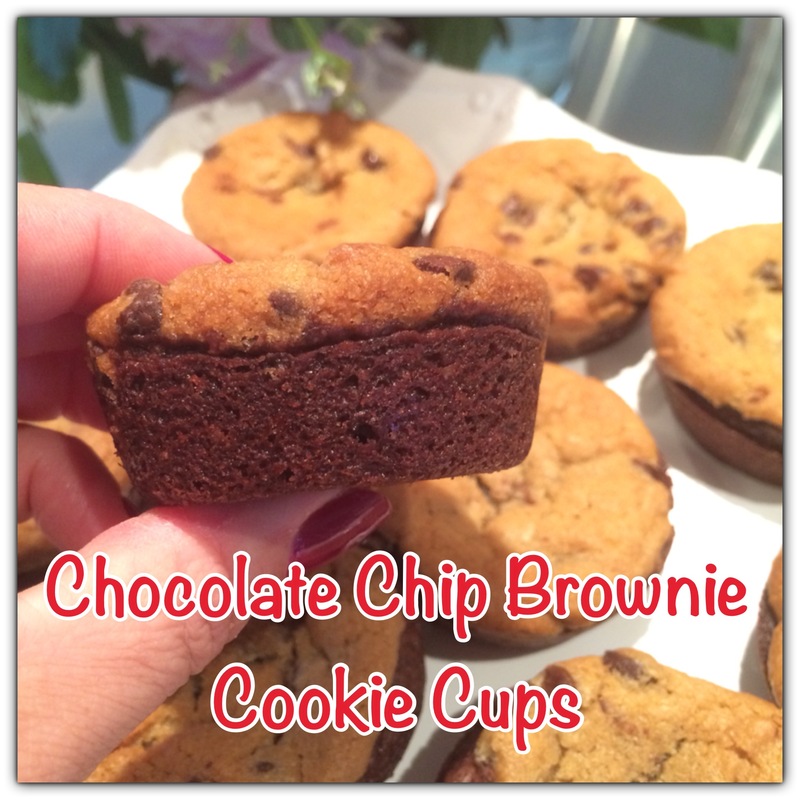 Each oven is different so watch your brownie cookie cups. Ours took 16 minutes. Isn’t this fabulous? Two terrific flavors IN ONE BITE! There are no words to describe the way these little desserts taste. We’re still dreaming about them! 1 Box of brownie mix. Any flavor or combination you desire works. 1 roll of refrigerated chocolate chip cookie dough from the grocery store. 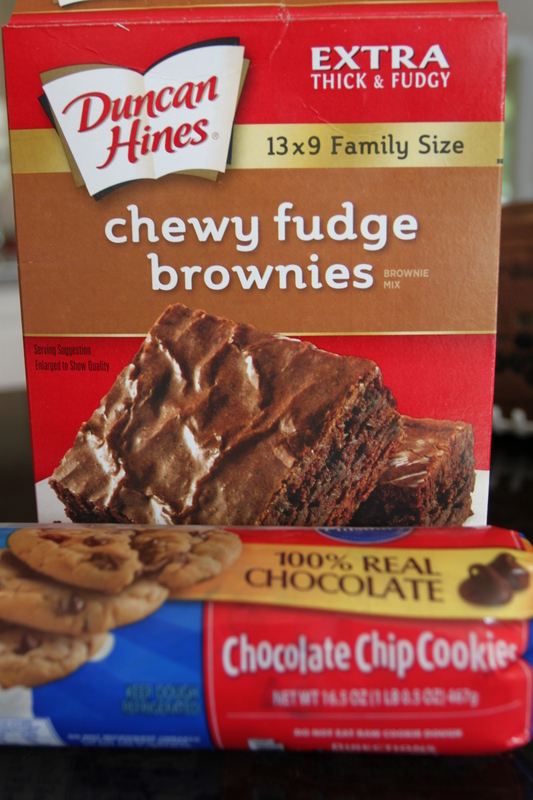 Check the recommended baking time on the brownies and cookies. Both of our packages called for a 350 degree oven. Prepare the brownie mix as directed on the package. If the brownie mix calls for a greased pan, do so now. 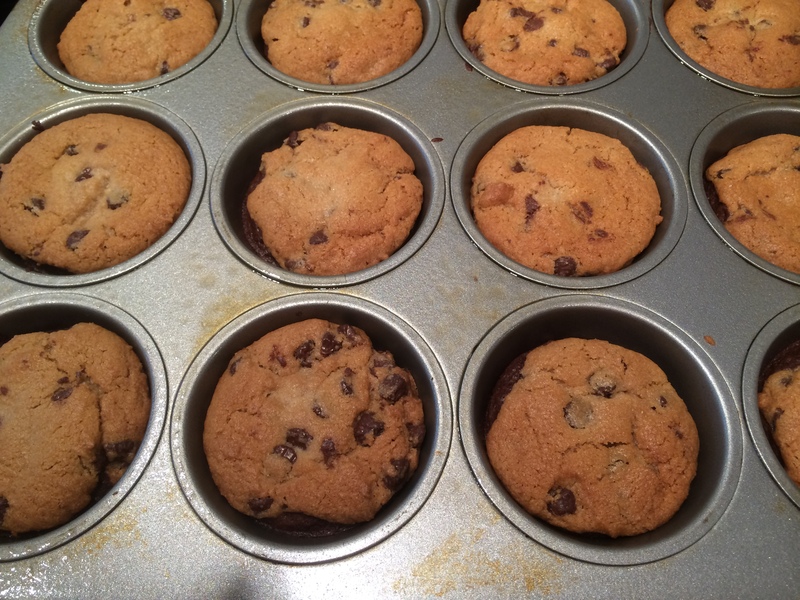 Scoop two tablespoons of brownie batter in each muffin pan. 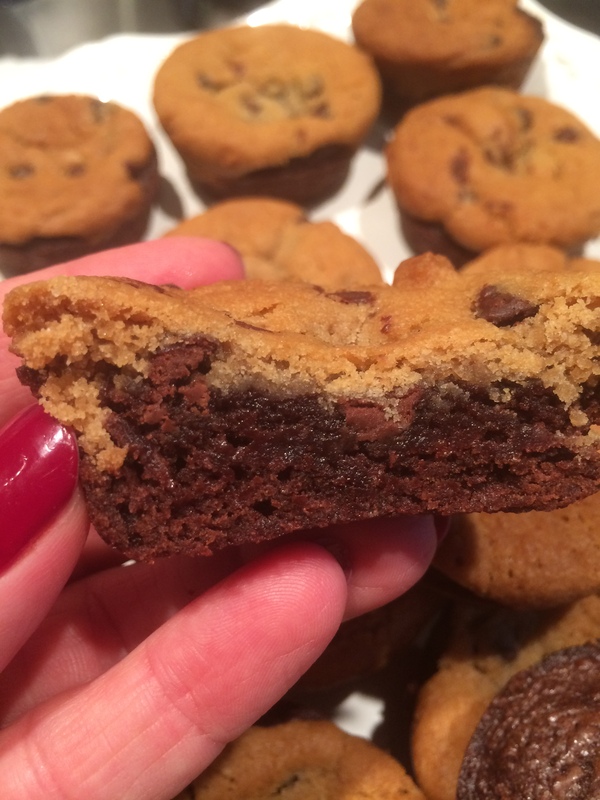 Top the brownie batter with a slice of cookie dough. Ours was approx 1/4 inch thick. 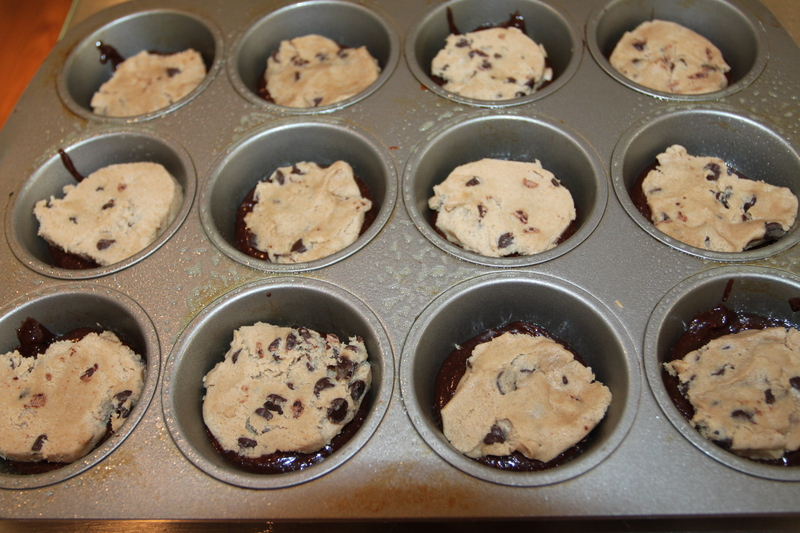 Bake the cookie/brownie cups until done. The cookie will look like a finished chocolate chip cookie does. Ours took 16 minutes, but time may vary for you. Let the brownie/cookie sit at least 10 minutes before “popping” each one out of the pan to finish cooling. If it’s “popped” too quickly, the brownie will fall apart. It also helps to use a thin knife to help lift it out.